Everyone needs a little TLC. Well Tempered Labs have always done things a little differently. New products simply arrive at our door with a suggestion that we might like them. At best there might be a modest explanation of how they work. After that they have to win us over on the basis of performance. Which has always worked, from the first time we heard a Well Tempered Turntable in action. Every Well Tempered product we've heard has performed better than anything else we have heard at the price which translates to the fact that whatever level they are working, WT Labs deliver value. It's no secret that the Well Tempered turntables are a specialist item and with a starting point of around $3000 you expect something pretty special. What is likely to be news to you is that they also have several components at a fraction of this that are fully deserving of the Well Tempered Labs logo. Let's talk about the latest from the Labs - the new TLC Moving magnet phono cartridge - is just NZ$810. The TLC is a has input from 3 important analogue players. It's based on the Nagaoka MP150 - a highly regarded model in its own right. Dynavector Japan have helped with the manufacture and modification. And the team atWell Tempered that are responsible for the direction and delivery. That's a lot of co-operation for an entry level cartridge which should be more than enough to get you interested. Given most high end turntables end up with up-market moving coil cartridges it's all too easy to overlook the importance of the moving magnet design - yet its what most of us use and certainly there would be very few turntable owners that didn't at least start with one. It's the first step into analogue and given the immediate contact it has with the record it's the most important. There are 3 general advantages with moving magnet cartridges. A high output - which means greater compatibility across a range of systems. As a result they are less susceptible to buzzes and hums. 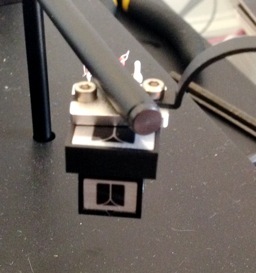 User replaceable styli - when the stylus is worn, just ease the old one out and replace it. No adjustment or skill required. Lower cost - while there should be a direct relationship between price and performance, sometimes we get lucky! All of which make the moving magnet design a great start and quite often a final destination. The new TLC proves that this need not be a compromise. The TLC is not aimed at just Well Tempered owners - they'll almost all be using more expensive moving coils. The TLC will fit on almost any turntable and provides a bit of Well Tempered magic for all analogue enthusiasts. So, lets look a little more closely - on paper the specifications for the Nakaoka MP150 and WTL TLC are effectively identical. Both feature a superfine elliptical diamond stylus, both a hardened and tapered low mass cantilever, track at 1.5 to 2.0 grams and have an output of 4.5mV. The cartridge assembly weighs in at 6.5 grams.These specifications are actually pretty standard - the TLC is physically a little lighter than average, its compliance is a little lower (ie the suspension is stiffer), the output average for the type - you'd not want to draw too many conclusions from this. In fact the only obvious physical difference between the TLC and cartridge on which it is based is the colour. Well Tempered black replaces the original Kermit green. Well Tempered suggest that the modifications retain all of the remarkable natural features of the Nagoaka MP150 whilst exhibiting a smooth extended treble response. And that they are rather proud of the results. What are we actually hearing? The TLC takes a good 30 hours or so to come up to the promised performance but from the outset you get an articulate and well balanced sound. There is pace and detail that you don't get from budget cartridges. The bass is solid and carries a pleasing bit of 'thwack' which I like to hear. Boring the TLC is not. What I've found with most cartridges is that they tend to have a defined character that places emphasis on one or two virtues. The comparably priced Ortofon (2M Bronze) is high on detail but sometimes a bit too polite and light. The Dynavector 10X5 goes the other way with a big sound but isn't nearly as balanced as its more expensive MC siblings. The Well Tempered TLC sits in a happy middle ground. This isn't actually what I was expecting. I have a strong memory of Nagaoka's most popular cartridge - the MP11 which I've sold and set up countless times. It was really gusty and 'big' compared with other carts around at the time - I thought the TLC might be similarly unruly but found it much more easy going. The TLC also responds to small changes in setup. With a lot of cartridges, the sound you get is very much the same over a range of tracking weight and VTA adjustment - while there is always an optimum, the character of sound remains the same. The TLC seems to have less of a defined character and the better your adjustment, the more natural the music sounds with details being 'just there' rather than being spun out at you. In this regard its has a lot in common with the better Dynavector MCs - it impresses with smoothness and the ascribed fluidity rather than an edge of the seat onslaught. In short, the more I listen to it, the more I like it. 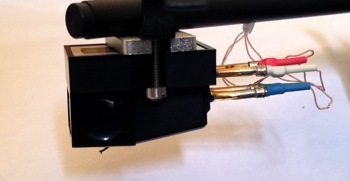 I can hear that the TLC has been developed in the context of sounding great with the Well Tempered turntables - it isn't trying to compensate for any particular addition or subtraction inherent in a turntables design and assumes a level of competence from both the designer of the turntable and whoever sets the cartridge up. These are good things. The TLC is appreciably better than the MP150 that it is based on for modest price difference. But what I do hear is that as the cartridge beds in, songs that I know really well on vinyl are suddenly made that much clearer in a way that I'm only getting on a considerably more costly full moving coil setup. There is every reason to think the modifications are responsible for this. There is something very likeable about a good moving magnet design - it gets to the heart of the music and while maybe not the last word in detail and expansive sound-staging like an eye-wateringly expensive coil, you have something that you can really just get into enjoying rather than worrying about. The relatively low cost saves a lot of angst and the easy stylus replacement means you're not going to leave it too long - given reasonable care all styli last about the same length of time, which given average use is about 2-3 years. While you can go longer, it's inevitable that when you do replace, you'll find it's a startling improvement and you'll kick yourself for leaving it too long. There is nothing more boring to listen to than a worn stylus and far too many people make this mistake. I'll also reiterate the benefits of the high output of moving magnets like the TLC when compared to moving coils. Unless done well, the extra stage of amplification required for most MCs can actually negate the theoretical advantage of the lower mass coils. Likewise the higher output from the back of the turntable is less prone to electrical interference. This can be a very real issue with the proliferation of wireless devices in a modern home. While moving coil cartridges can differ widely in the electrical matching parameters such as impedance, there is a standard for moving magnets which the TLC sticks to. Again, this means lower cost of associated equipment and certainty in matching without the need for adjustment. The TLC is certainly the best moving magnet cartridge I've had the pleasure of listening to. I could easily live with it and not feel shortchanged - a new moving coil is most definitely what I'd class as a luxury – the TLC is so good that I'd be happy making the saving and deploying those funds elsewhere - there are always alternative ways to better sound. And while I appreciate that the NZ$810 cost of the TLC is still significant, it is very much a value for money proposition and should be considered by any record player owner. And this is who I think the TLC is actually aimed at. By using the highly compatible Nagaoka cartridge as a starting point, we know the TLC is going to fit and work well on a great variety of turntables - All the Project models, Rega, Linn and Thorens are all likely homes. Where we might have suggested the better OrtoFon 2M series before, it's obvious now that the TLC is a better choice. It's even going to give the highly regarded Dynavector 10X5 a good run for the money. 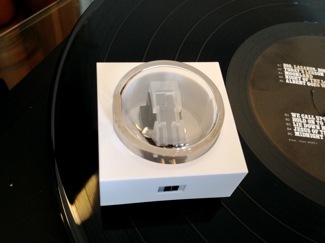 Well Tempered Labs TLC MM phono cartridge - NZ$810 including GST.